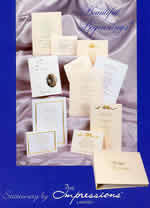 Organised Events supplies the Beautiful Beginnings range of wedding stationery created and printed by Fine Impressions. There’s an excellent choice of traditional, romantic or contemporary styles. 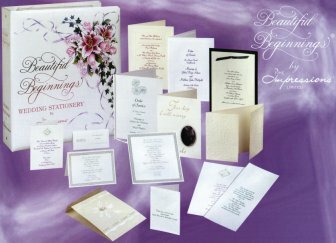 The extensive range includes matching wedding invitations, evening invitations, orders of service, thank you cards, RSVP cards, place cards, menus and personalised serviettes. We also supply disposable cameras, favour boxes, wedding albums, cake knives, and personalised champagne glasses. There are 21 typefaces to choose from and the print can be in black or one of 12 alternative colours. Prices start at £40 for 30 invitations and delivery is free for orders over £30. If you want your invitations in a hurry, we have a very fast turnaround. Fine Impressions pride themselves on being able to provide a fast and efficient service with most orders being despatched within 48 hours. We offer a nationwide mail order service and are happy to supply free samples by post. Alternatively we can bring our portfolio to customers based in Herts, Bucks, Beds, and Northants. Simply give us a call to arrange to see the Beautiful Beginnings range or to receive some free samples. Select a design to match both your personal taste and the style of your wedding. Then contact us for a price quotation or to place your order. 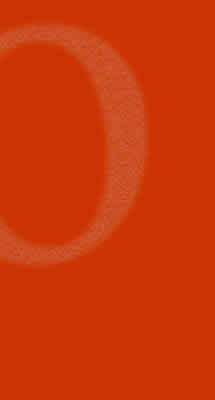 BY PLACING YOUR ORDER THROUGH ORGANISED EVENTS, YOU WILL SAVE 10% OFF THE MANUFACTURERS’ PRICES!